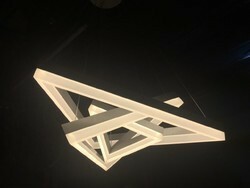 - Led Modular Suspended Light, Modular Jhoomer Led, Modern Led Zoomer, 54W in 3 Slabs . - Best Option For Dining Tables. - Material - Glass Frosted. We, Indus Enterprises, are a highly acclaimed manufacturer and wholesaler of highly efficient Ladies Leggings, Ladies Kurtis, Ladies Jeggings, Ladies Long Skirts and LED Hanging Bulbmany more. 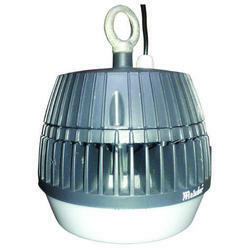 Our firm has created niche in the field of presenting LED Hanging Lights to the clients. Lighting is the most important part of home décor. Proper lighting can change the atmosphere of your house. We offer our clients ceiling hanging light with chromium and brass finish and antique finish with 2 lights, 4 lights or more according to the requirement. Exclusive collection of hanging LED Lights. Hanging with ganeshji and LED. This are decorative hangings with coloured ganeshji and a led light.